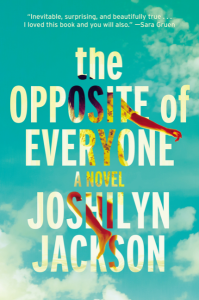 The Opposite of Everyone, by Joshilyn Jackson (@joshilynjackson) #TLCBookTours #review by Melissa Bartell is licensed under a Creative Commons Attribution-NonCommercial-ShareAlike 4.0 International License. Paula sounds like quite an interesting character. That bit of darkness in the story really appeals to me. Thanks for being a part of the tour!